The last shall be the first - HERE. 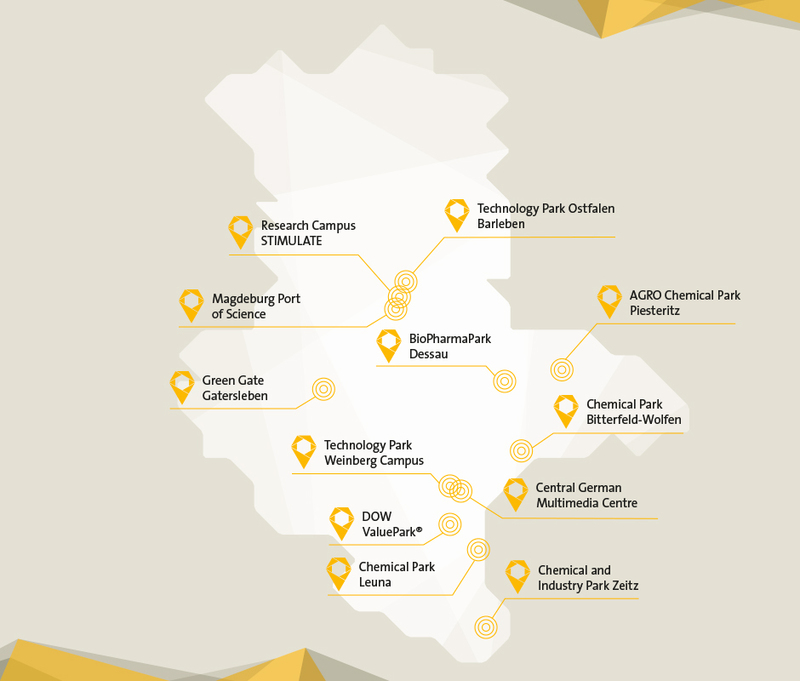 SAXONY-ANHALT AND INNOVATIONS? IT DOESN'T FIT TOGETHER. We take up the counter-evidence and show that in Saxony-Anhalt something formative is emerging. Because HERE innovations take their origin. HERE researchers discover groundbreaking innovations. And HERE entrepreneurs develop their products to market maturity. Twelve locations in Saxony-Anhalt offer the perfect conditions for this. These are our so-called CENTERS OF EXCELLENCE. HERE science, research and industry are concentrated on one site. The paths are short, which enables encounters and exchanges. New ideas emerge and are realized faster. Also because the local companies and institutions are key players in their sectors and fields. At the CENTERS OF EXCELLENCE you will find superb conditions for business and science as well as space and potential for your investments and ideas.